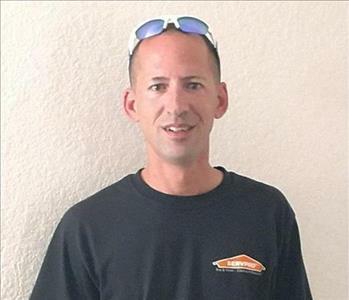 Here at SERVPRO of Plymouth/Wareham, we feel like a family. 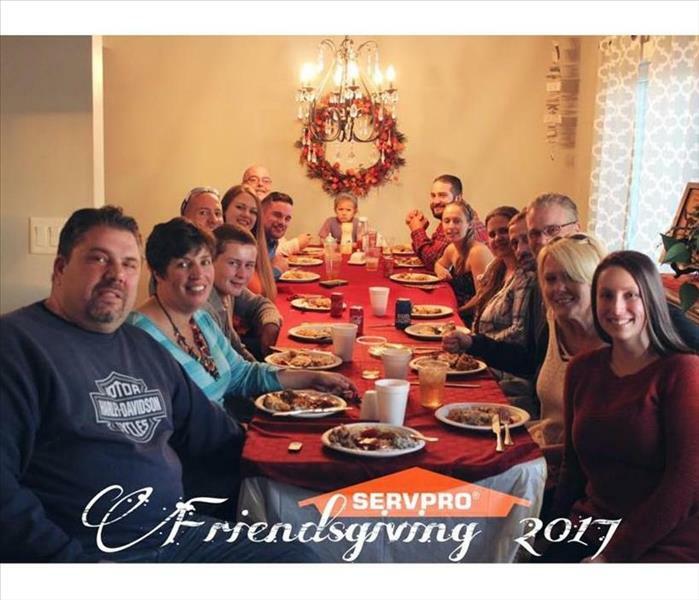 We wanted to celebrate our SERVPRO family this holiday season by throwing our very first "Friendsgiving". 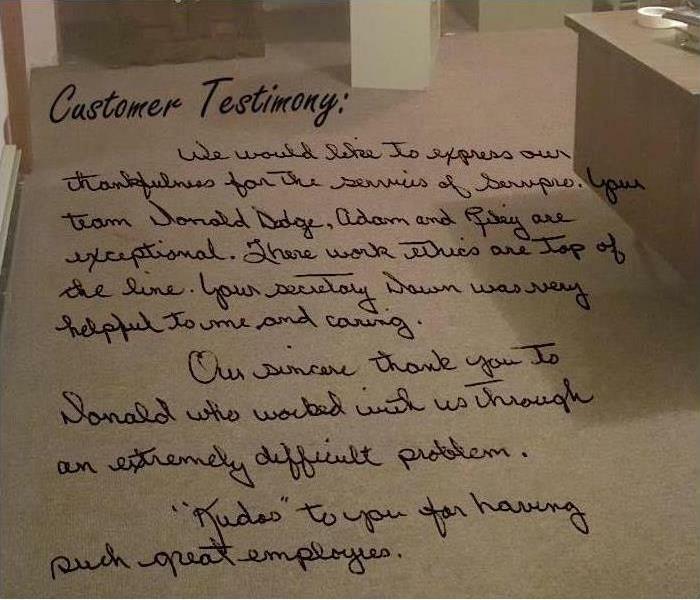 It's important that we get together for events like this because we like to show employee appreciation and boost our team members' morale. After all, A company outing lets workers better get to know each other regardless of the position they hold in the company. 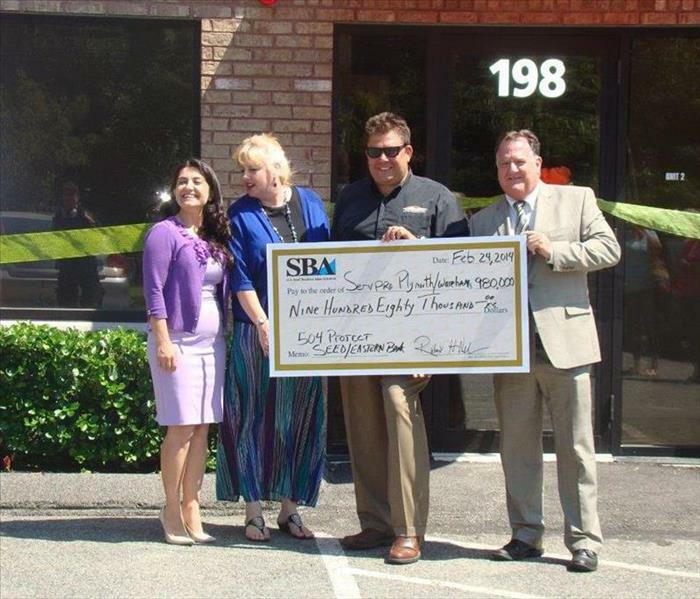 This makes for a stronger team by boosting productivity, self-esteem and confidence. Not to mention the turkey came out amazing! 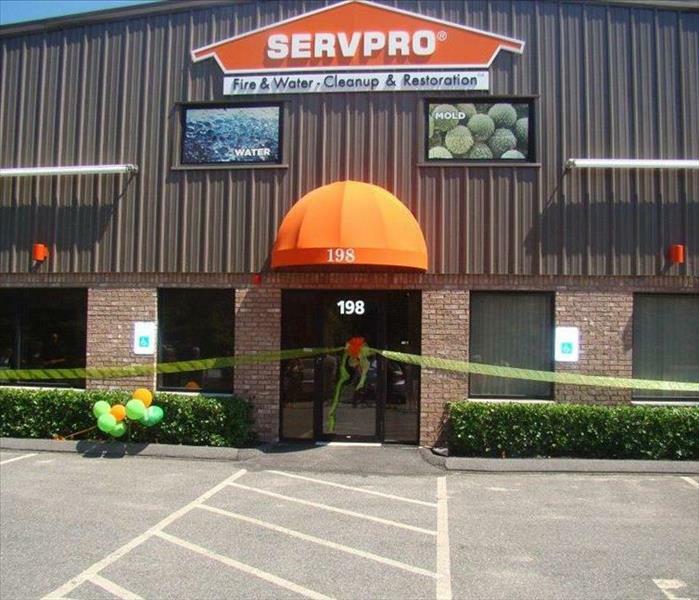 From our SERVPRO family to yours- Happy Holidays! 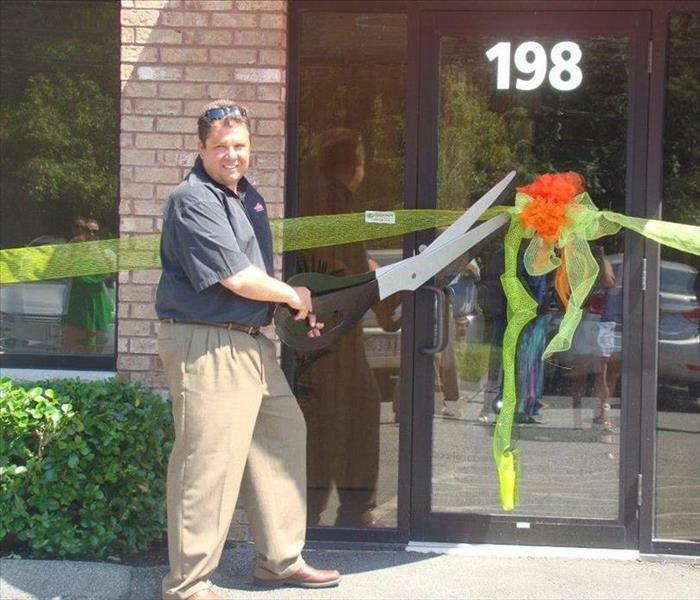 Our Grand Opening for the new building @ 198 South Meadow Road, Plymouth MA! 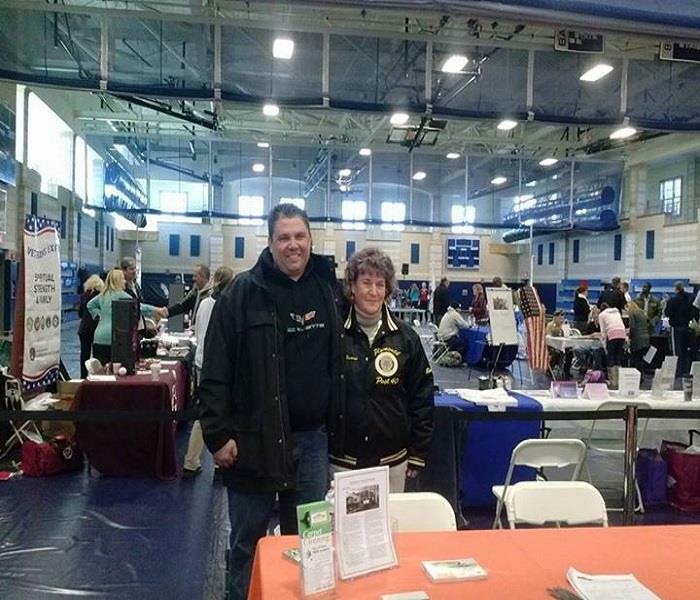 Ken and Roxanne Whitbeck (Director of the Town of Plymouth Veteran Services) at the Plymouth North High School's Veteran Expo - Career and Education Services. 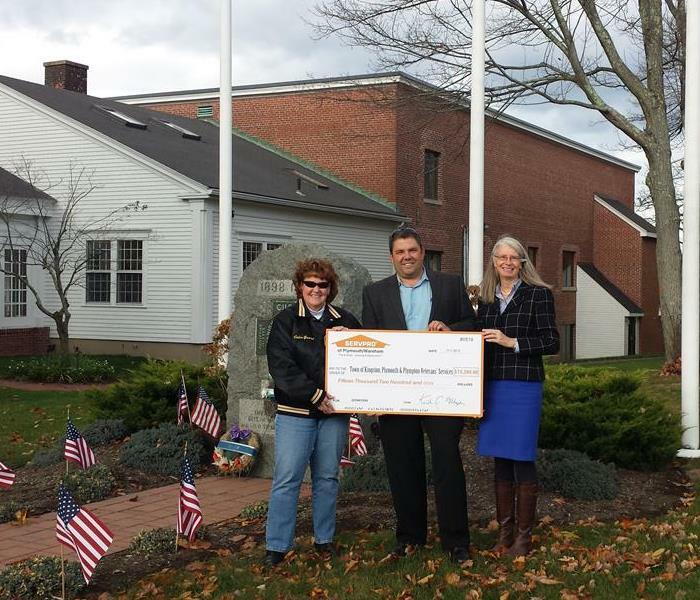 Donating to our Local Veteran's Program!